Leeds, UK, 15th October 2015 – Businesses are being urged to take more action on training and educating at-work drivers on the dangers of speeding to help make their fleets and local communities safer. The call comes from Brake, the road safety charity, as it releases a new report showing that two in five (39%) of businesses don’t have a speed policy, either in the employee contract or handbook. The report also found that 65% of companies with a speed policy don’t have one that applies to external contractors while a third of speed policies don’t apply to senior management. Only a quarter of companies get involved with promoting speed awareness in their local communities, for example by supporting local training or education on speed. 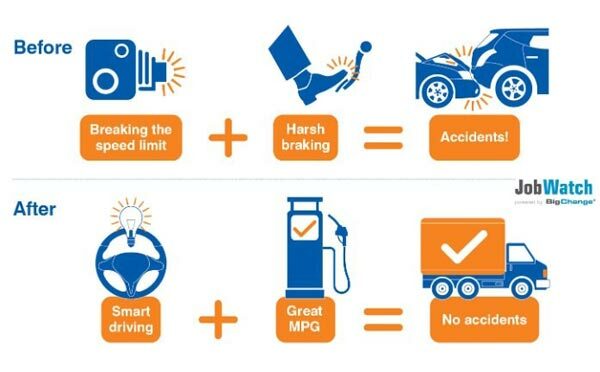 With excessive speed – either breaking the speed limit or driving too fast for the conditions – listed by the police in 27% of fatal crashes in the UK in 2013, Brake is urging all employers with staff who drive for work to implement policies and procedures to ensure their drivers are fully aware of the dangers of speeding. Employers can access Brake’s expert guidance by ordering a copy of the report, which includes advice for companies, and becoming a member of Brake Professional at www.brakepro.org. Article précédentCEO’s Blog – Due to continued growth, BigChange is recruiting self-employed Auto Electrical Telematics Engineers nationwide.Article suivantCEO’s Blog – Looking forward to my meetings in Paris. Planning BigChange expansion in France.